Every novice gardener wants to know what flowers to plant in the country, and even so that they bloom all summer. Landscaping is a responsible matter. We would not advise especially to trust the advice of special magazines that advertise fashion and modern plants. It is not always cost-effective to run to a flower shop and buy expensive seeds. The fact is that they, in most cases, are very capricious and can bring a lot of trouble. Therefore, ideally, choose those varieties that have already been tested by time, and just will not let you down. In this article we will look at which species are best used in the country, both for the improvement of flowerbeds and for flowerpots. An important requirement is unpretentious! If you do not live in the country, and get on it several times a week, or even a month, then the growing plants must be unpretentious. Otherwise, for your absence, they will lose their attractive appearance and decoration, they may even die. Flowers should normally carry all sorts of atmospheric phenomena, for example, rain, hail, heat and not only. Moreover, we need those species that do not like pests. This will allow you to have beautiful flower beds that, in your absence, will not turn into miserable "skeletons"! Such plants must meet the requirement: minimum care - maximum decorative effect! If you want to get a beautiful flowerbed as soon as possible, then annuals will be the ideal option. Such flowers after planting begin to bloom after 1-2 months. A large number of such varieties have a long flowering cycle from summer to the first frost. As for perennials, the situation is quite different. The flowering period is rather short. 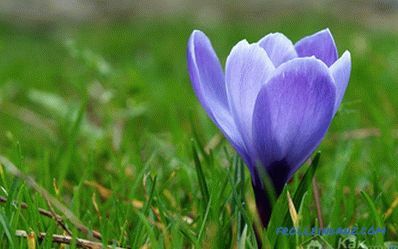 Some types of perennial flowers can bloom only a few weeks, and others 1-2 months. Another advantage of annuals is that you can put new ones each year. experiments, creating new shades of different varieties. Accordingly, each year you will have a completely new pictorial painting in the garden. This is what many lovers of flowers strive for. But perennials are not without their merits. They also have their regular fans among gardeners and get new ones every year. Despite the fact that they grow more slowly than annuals, after they are planted with them there is much less hassle and problems in grooming. Therefore, you can plant such a flower once and enjoy its beauty for many years without putting any effort into it. As for annuals, they will have to be sown each time. And this even despite the fact that some annuals have the ability to self-seeding. In this case, there is one drawback: you will not be able to get a beautiful outline of a flower bed, and all the color will be scattered in a chaotic manner. If you do not want this, then you have to sow each year on a new! Now let's talk more about the varieties of annuals and perennials. 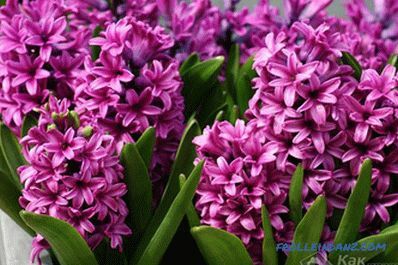 Bulb flowers - a bright dacha decoration! Among perennials perfect decoration of any site will be bulbous. They are absolutely not whimsical. But despite this they delight the eye of their owners with beauty. One of these spring flowers are crocuses. As soon as snow melted, this primrose and grows out of the ground in the month of March. To wait from him for the first inflorescences, there is no need to wait until he picks up the green mass. The first buds appear simultaneously with the leaves. This is due to the fact that its vegetative system is developing at an accelerated pace. 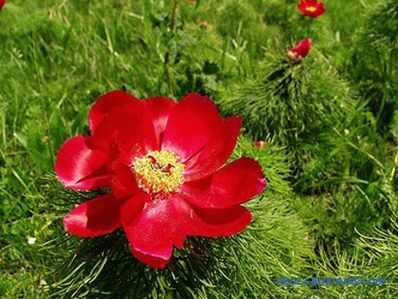 However, like most perennials, its flowering period is short - only 7-10 days, and then it hibernates again, waiting for the next spring. This plant does not require any additional care, especially fertilizer. Also, it avoids all possible fungi and pests. If you like tulips, other representatives of bulbous flowers, then bear in mind, unlike crocuses, they are capricious. However, their presence in the country allows you to create a variety of flowerbed combinations. Their shape, color and size amaze any imagination. 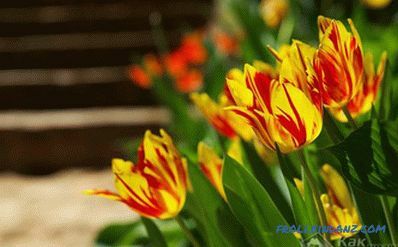 It is not enough to find those who are indifferent to tulips. They can be used on the Moorish lawn, the coastal zone of the reservoir, as well as in the center of the flower bed near the house. But as mentioned above, these large terry exotuses are choosy. They are subject to various fungal diseases. And for this reason, before planting the bulbs, they should be treated with fungicides. It is recommended to carry out additional spraying and during the growing season. The main enemy of a tulip is a fungus. If you do not notice it in time, the treatment of the disease will not end in success. 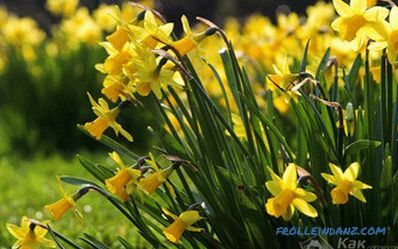 You can successfully diversify any spring flowerbed with them. As for summer bulbous, here there is no way to do without beauty, which no one can match - lilies. Today, a large number of varieties, which differ not only in terms and flowering period, different color, but also the most important - the aroma! Perennials for giving. Which are the best? Among perennials, there are also popular women of the garden - dahlias and peonies. Their reproduction is carried out by tubers. The luxury of flowers is transmitted in different colors: burgundy, pink, white. They bloom in early July. This plant is beautiful due to its lush bush forms. Even when its flowering period has ended, the bush remains an excellent decorative addition to the flower bed, creating a beautiful rich background. Dahlias bloom in late summer and autumn. It was during this period that a large number of terry inflorescences of various shades appear: purple, red, yellow and white. Although there is also an annual variety of dahlia, it is referred to as - funny guys. These plants are compact and small in size. 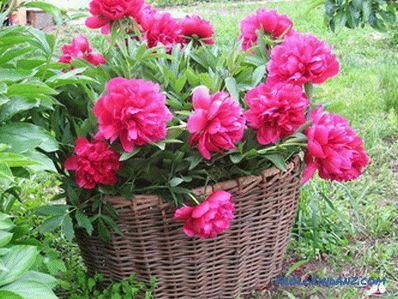 They will look great as a decoration of low beds and borders. Well, what if you have a gazebo, fence or arch in your garden? 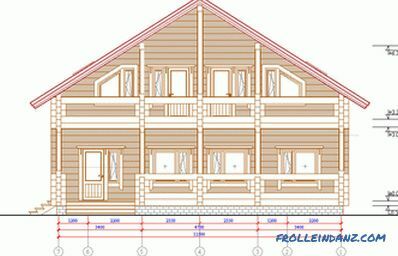 What can decorate it? For this there is a simple and original solution. Clematis greens decorate these and other items. Perennial climbing plant has a large number of small flowers. 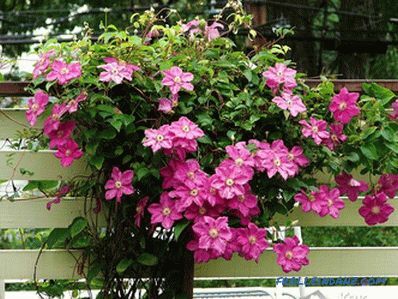 On the same clematis, 500 flowers at once can dissolve at once! 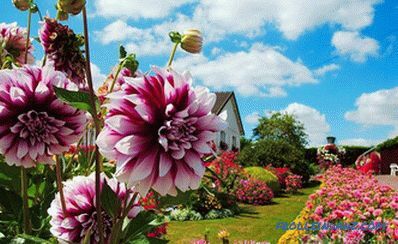 Truly beautiful decoration of any garden. Among other things, clematis is a perennial champion in the flowering period. This period begins in June and ends in October. As for annual flowers to give, here the list can be very large. But consider, perhaps, the most unpretentious types. Marigolds are one of the most simple and beautiful representatives. They are striking in their varying colors from bright burgundy to pale yellow. If we talk about their form, it can be simple or terry. 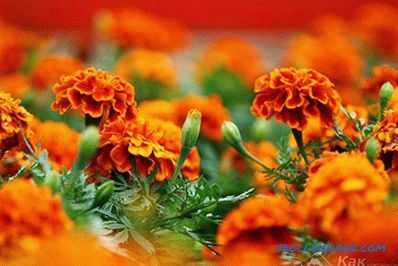 If you want to form high thickets, then opt for the African species of marigolds, which have large inflorescences-balls. If you dream of curb decoration, then the best will be rejected marigolds, they normally tolerate irregular watering, sun and constant rain. It is not recommended to plant them in a dense shade. This can lead to a lack of flowering. Marigolds should receive plenty of sunlight. In this case, their bushes will be covered with flowers in a compact size. Another picky flower among annuals is zinnias (majors, as they are called by the people). Despite the fact that he has a thick stalk, he does not need a garter at all. The plant itself has excellent immunity and is not subject to certain diseases. Flowers of zinnia come in all kinds of shades and colors, with the exception of blue. Their main advantage is drought resistance. If you water them once a week, they will still delight you with the beauty of flowering. But do not abuse it, because of systemic underfilling, they can decrease in size and less flowering. Do not forget about the diverse petunia. This one-year flower is able to decorate any flower bed. It has different forms, becoming a compact bush or a chic ampel, having meter lashes. 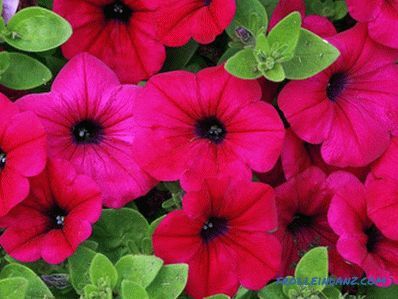 Unlike marigolds and zinnia, petunia is less drought resistant. If you have little free time and energy, then it is better not to take it off. Of course, the list of annual and perennial flowers that can be used to decorate flowerbeds could be continued. There are a large number of their species, which differ in the play of colors and shapes. 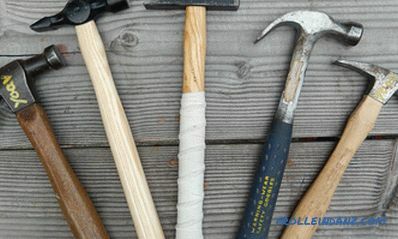 We reviewed with you the most popular and often used in the country. Now let's talk about the colors that can be planted in vases. This is no less attractive occupation. Flowerpots - an alternative to flowerbeds or addition? 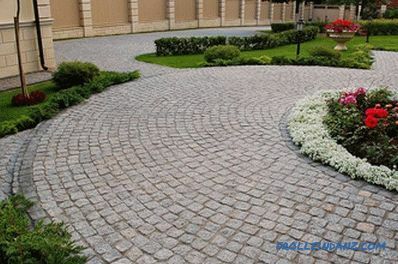 If there is a lot of land near your country house, then planting flowerbeds and making flower beds does not make much effort.However, how to be when there is a desire to somehow decorate the site, covered with concrete paths, or tiles? Or somehow decorate a gazebo, stairs or a balcony? In all these cases, a simple and rational solution is suitable - landing in the flowerpots. 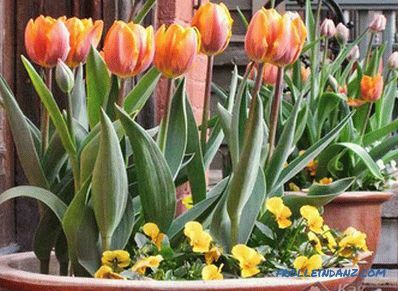 Literally several flowerpots can turn a gray landscape into a blooming garden. So, what types can be planted in vases in the country? Let's look at some of the features of such plants. Vases or containers are convenient and practical. They can be located literally anywhere in the garden, with the edge of the bench, along the paths or around the pool. If you want to change the combination, then you do not need to dig up the beds, you can simply move the pot from one place to another. But there is one "but": not all types of flowers fit a place that is in the shade. For this reason one should be prudent. The root system of one kind or another will feel great in a limited space. Such plants easily tolerate drought or excess moisture, which makes them sturdier. Flowering takes place throughout the season. As soon as some buds wither, new ones grow. As for the care of such colors, they usually require less attention. 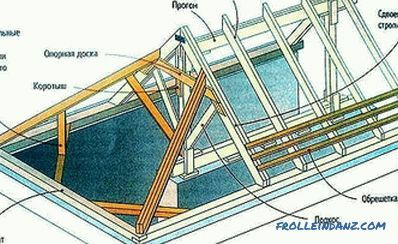 For this reason, you can consider as an option landing in the country just in flowerpots, in case you do not like to make flower beds. 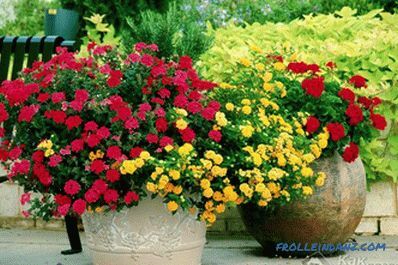 Now let's talk about suitable varieties for flowerpots. If you decided to make a combination of flowers, then choose different colors, according to the type of stem and their height / pomp. As a rule, two or three species are planted in large vases. In the center of the pot should be placed high or focal. As for the edges, they should be located in the background. Along the perimeter or circumference, it is possible to harmoniously plant climbing and falling plants. If your container is located near the wall, then it is clear that tall plants should be planted near the wall, and low ones in the foreground. One of the undemanding flowers that can fulfill this role is the wildly flowering pelargonium. In most cases, it is known as geranium. It has a large range of shades ranging from soft pink to deep maroon. To support them, during the summer it is enough to feed them with humates two or three times. In general, they do not require special care. Another focal variant is semi-double or terry aster. The period of its flowering is quite long. If you plant them in vases, then it is best to purchase sredneroslye or dwarf varieties. Their height can reach up to 50 centimeters. The only rule of their content is the need for the sun. 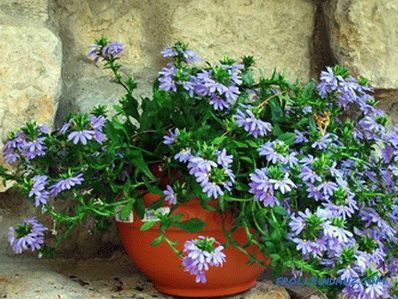 Therefore, the flowerpot with asters should be placed on the place where direct sunlight falls. If we talk about annual focal flowers, here you can select dahlias. Plant height can be from twenty centimeters to fifty. 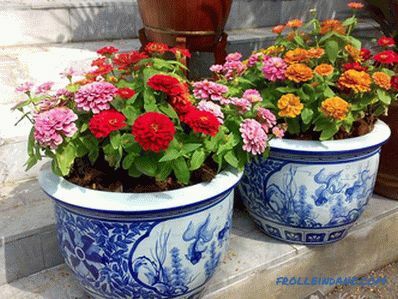 They are perfect for creating a unique and beautiful combination in a flowerpot, for group plantings or single. Very often you can find dahlias that serve to decorate the porch. Background flowers as a rim! Often pansies called violet or viola. They are gentle and colorful grow to 25 cm in height. 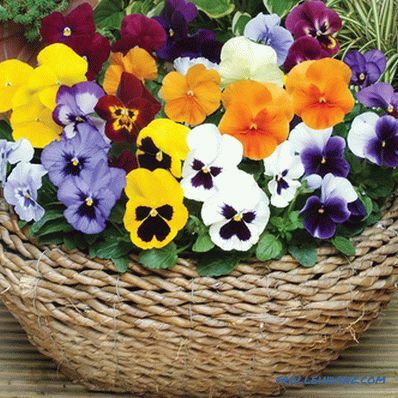 If tall plants are already planted in a flowerpot, then pansies will be an ideal addition to create a separate composition. Another bright representative is the ageratum. It has a varied color: white, lilac, bordovfy and purple. It can be perfectly combined as a frame with asters or dahlias. Their height reaches thirty centimeters. Ageratum can be used to create contrasting compositions. This flower is absolutely unpretentious and easily tolerates drought, but the best thing is not to put it in the shade. This plant is sun-loving. 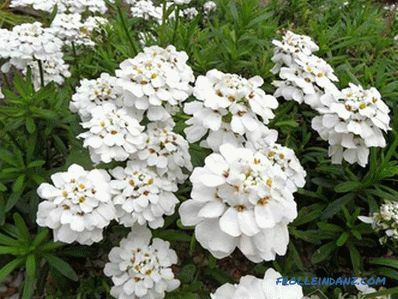 In May and June, iberis can be used as a pot decoration. It can serve as a reliable change of other colors that are fading by now. Although this lush plant loves the sun, it grows well in the shade.Also feels good in a flowerpot. If you want your vases to give you a beautiful and sunny mood, then you will definitely drop white and yellow limnantes. 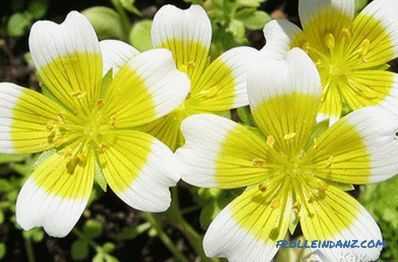 Its flowers are very small and resemble the suns that light up all around. Limnantes can be used as a background with colors of red or blue focal plan. Well, how can you not do without a hybrid verbena that reaches the height thirty centimeters. The bush of this plant looks lively and motley due to the petals of the inflorescences framing the white speck. Ideal for creeping compositions. 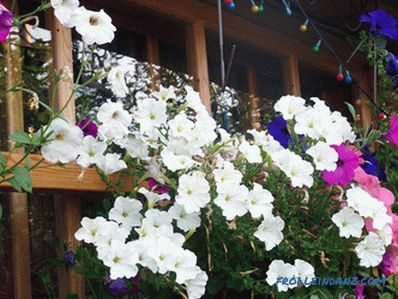 For decorating the verandas and balconies the ideal option would be petunia. This plant is rich in diverse shades ranging from pure white to bright red and deep purple. With the help of petunia, you can create incredibly beautiful combinations of colors and shades. A variety of fuchsia varieties that can be planted in vases in the country house are also an excellent option. Flowing and ampelous flowers are able to create an amazing combination of pink and red hues. Very often they are used to decorate or decorate arbors / balconies. 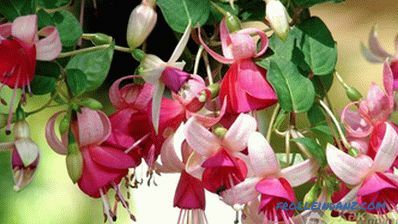 In most cases, preference is given to hybrid fuchsias. 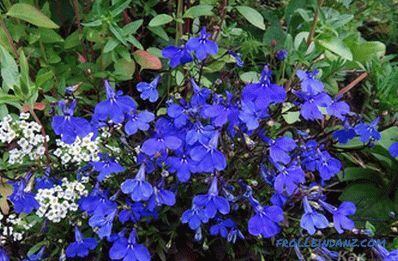 With focal flowers you can perfectly combine the bright blue cornflower lobelia flowers. There are other shades, such as white, red or purple. With the help of lobelia you can make a monochromatic frame. Positive and the sun can give you nasturtium. 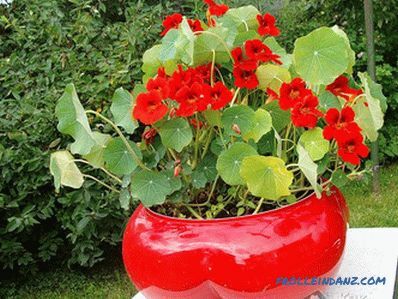 In addition to the beautiful addition to the pot, nasturtium can be useful for protection against pests. This plant is very popular in the north and in the middle lane. This is mainly due to their unpretentiousness. Also setbacks would be an excellent option, which is suitable not only for containers and vases. 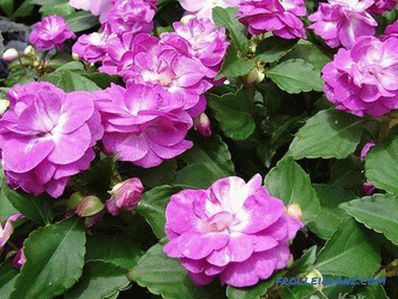 With its help, you can create excellent Letniki, as this plant is a groundcover. So, there are a large number of other plants that can be planted in vases or containers in the country. We have listed the most unpretentious, which will be the least of all problems. 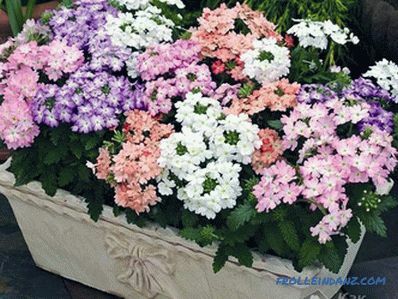 As a care, it is enough to water them in a timely manner, as well as loosen the soil. In this case, they will delight you with lush flowering. Please note that some varieties can be fed with mineral fertilizers. 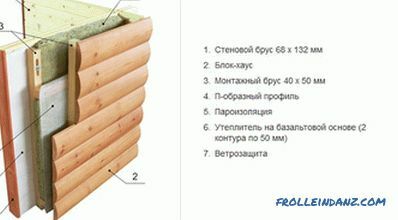 They are sold in the form of granules or solutions. In general, having flowers in the country is not a burden. When creating a beautiful combination, you can enjoy a long period of time with the beauty of blooming plants.